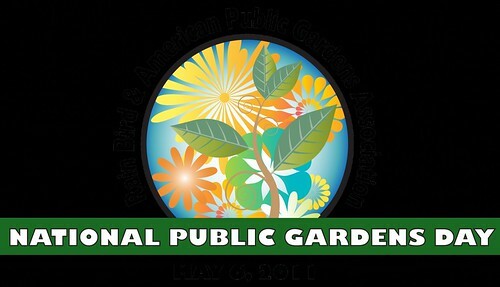 May 6, 2011 is National Public Gardens Day – I found out about this event on yesterday’s NaturaTurf Blog Post. What a cool event sponsored by the American Public Gardens Association. The National Public Gardens Day 2011 has a website with all sorts of information about this special day. My favorite is the page, What You can Learn From A Public Garden. There is a lot of helpful insight about different things you can learn when you visit a public garden as well as reasons why people make the trip to a public garden. In addition, you can get in for free to a national public garden by printing a coupon for this special day. Better Homes and Gardens is sponsoring this event with the free admission. If you need to find the closest public garden in your area, go to the public garden locator page on the site. In Omaha, the National Public Garden is Lauritzen Gardens. This place is incredible. There are so many vast gardens on acres and acres of land. Check out this list of gardens on their website. This is a great time to go out and walk through a public garden near you.